Featured header image by verrier.claude. Slowly but surely, the reputation of Ars-en-Ré is beginning to spread and it really isn’t going to be much of a secret for a great deal longer. An absolutely gorgeous little town where bicycles are the order of the day, it’s a picture-perfect French seaside town that looks and feels absolutely nothing like anywhere else you’ve ever been. It used to be an important trading spot for sailors many centuries ago, but today represents a dreamy weekend and summer holiday destination for those well and truly in the know. 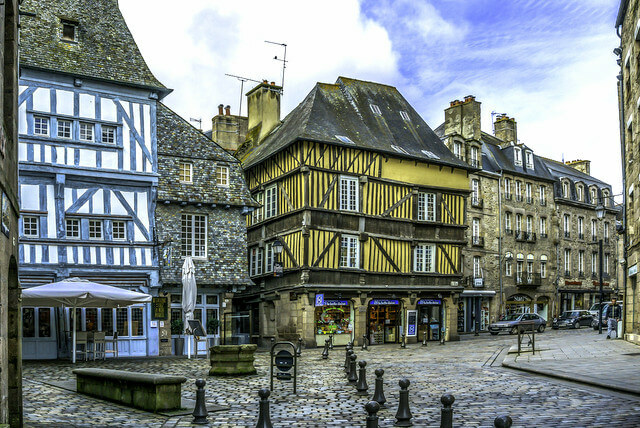 Boasting a variety of buildings and cobbled streets which in many cases haven’t been touched in over eight centuries, Dinan presents visitors with an unspoiled snapshot of the region’s past. There is absolutely no more satisfying way of spending a day here than aimlessly wandering the streets, finding a charming café terrace at which to take a seat and simply watching the world go by! Photo credit: Peter via Flickr. The blink-and-you’ll-miss-it village of Domfront represents the perfect base for a trip of deep exploration around the surrounding countryside. Lose yourself (not literally!) in Andaines Forest, stroll around the Charles Leander Museum and leave as much time as necessary to lap up the local delicacies back in town. There are also some amazing horse riding opportunities nearby, if you’re into the equestrian way of life! 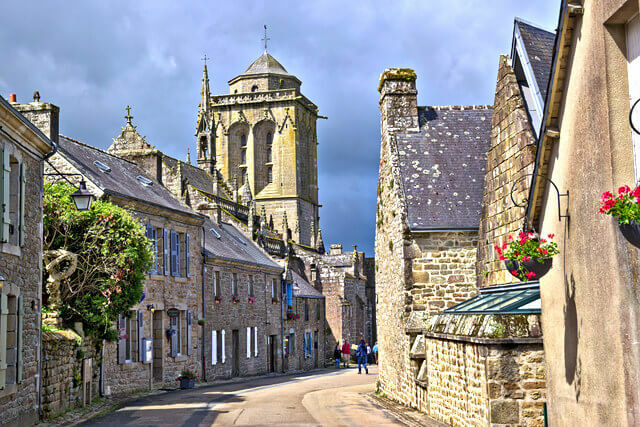 A picture postcard shot of Brittany at its finest, Locronan is considered by locals and travellers alike to be a front runner for the most stunning village in the country. It’s another prime example of a place that has been beautifully preserved and spared the trappings of the modern age. Though generally something of a day-trip location, book yourself into one of the charming local guest houses for an extended stay and chances are you’ll see why local pride really is on another level. Getting there: Brittany Ferries run regular ferries from Plymouth to Roscoff – only 60 miles from Locronan. Flanked by a stunning ancient forest and with a truly enchanting waterfront setting, Paimpont represents a truly delightful daytrip for the whole family. Legend has it that the forest of Brocéliande was once the home of Merlin the Wizard and King Arthur; a true land of fantasy and mystery. Each of the seasons brings something uniquely stunning to the landscape of Paimpont, though for obvious reasons it is best enjoyed in the warmer months of the spring and summer. 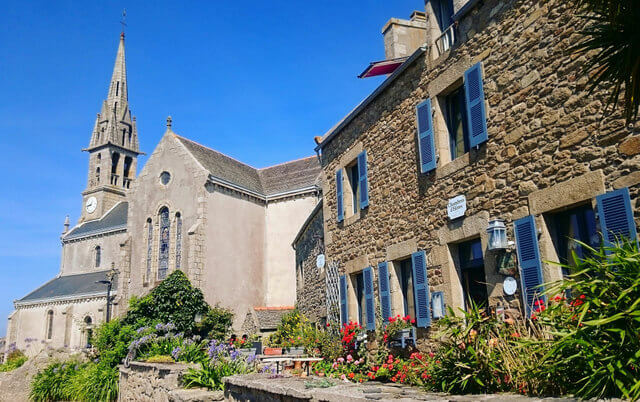 No longer a matter of personal opinion, Rochefort-en-Terre has won the official accolade of being declared one of the most stunning villages in the whole of France. The town’s tradition of prominently and lavishly displaying flowers at all times dates back to the turn of the 20th century and is still vigorously followed to this day. The combination of medieval architecture and stunning floral displays paints a picture that is simply breathtaking. 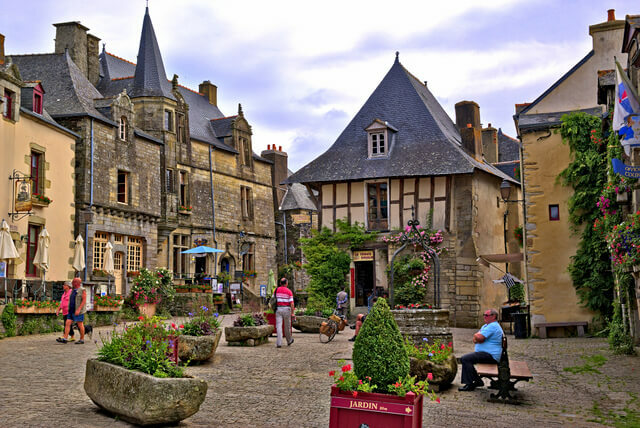 More information: The official tourist website of Rochefort-en-Terre has more information on where to sleep, eat, and things to do. In the top right hand corner is a button to read in English. Famed the world over for its prehistoric aligned megaliths which are thought to date back to the same kind of era as Stonehenge, you really don’t have to be a history buff to get a real kick out of Carnac. The whole place has an unmistaken air of mystery and history in equal measures, while the Quiberon Bay seaside resort promises more family fun than you’ll ever need while in town. 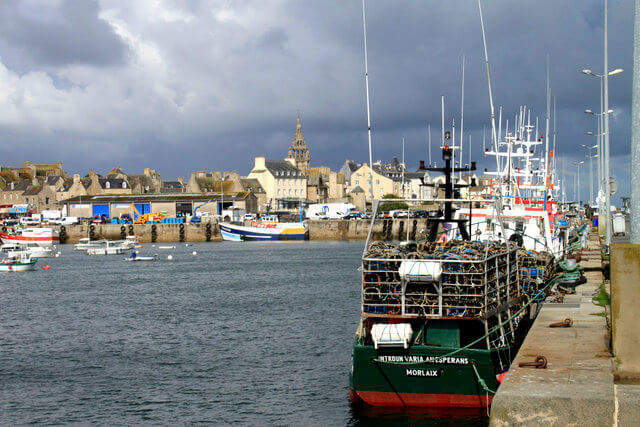 Roscoff is a simply stunning little French seaside town that occupies a prime plot on the Morlaix Bay peninsular, and another town on this list which is easily accessed via the ferry. Brittany Ferries run ferries direct from Plymouth into Roscoff. 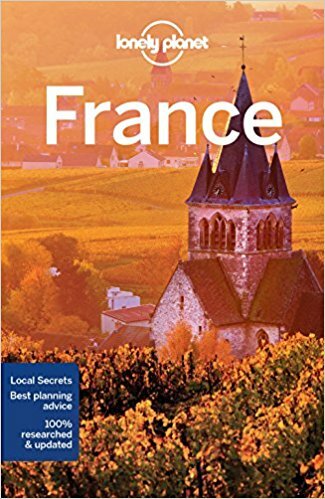 Known across the country as one of the most distinct and character-filled villages in France, it is an absolute hit with locals and knowledgeable international visitors alike. There’s a lovely harbour, fabulous beaches and a perfectly preserved old town centre with many buildings that haven’t changed in over 400 years. 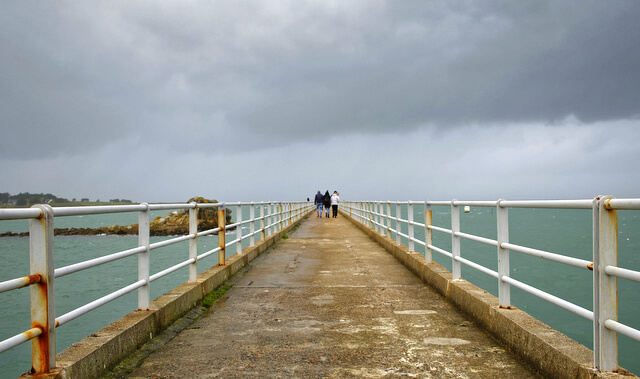 Taking the relaxing boat ride to the nearby Île de Batz is also highly recommended. Photo credits from top: Kevin Grandjean, Jeanne Menjoulet & Guillaume. Charming, charming and charming once again…that’s really the only realistic way of describing Auray! It’s the quintessential picture postcard snapshot of a wonderfully traditional way of living, with cobbled streets and the historic port bringing to life generations of local history. Auray also has a reputation for being home to some of the most decadent dining in the region and there’s even an annual oyster festival, which is definitely worth stopping by for! 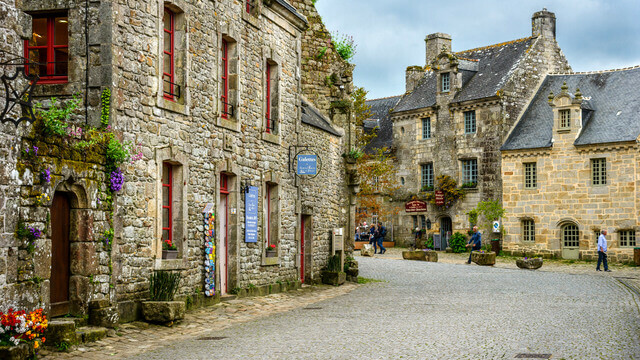 A place that has been inspiring artists for generations (and it’s not exactly difficult to see why), Pont-Aven is a fantastically pretty and vibrant town in which to spend a day or two. Things really burst into life in August in particular, where the famed flower festival sees these already stunning streets transformed into a scene fresh from the pages of a fairy tale! 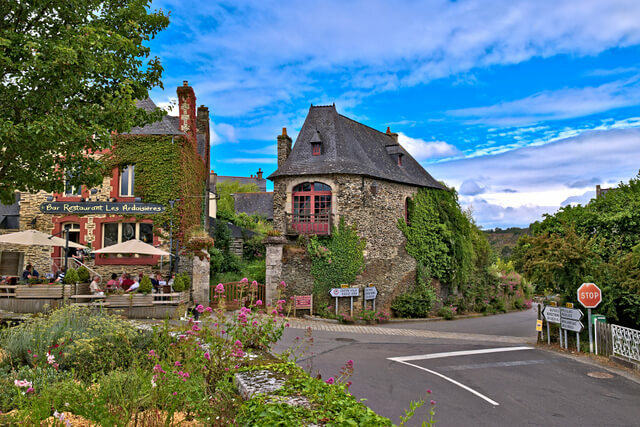 Pont-Aven is tiny enough to be explored in an afternoon, though is more than worth considering spending a night or two soaking up. Every place looks gorgeous Meg. I house sat for a guy who then did a house sit in farm country, France style. He raved about the place. As for bicycles being a hit in one town; I am in. I could easily bike around without driving a bit and it gets ya here to there faster compared to using my own 2 feet. Lovely list. 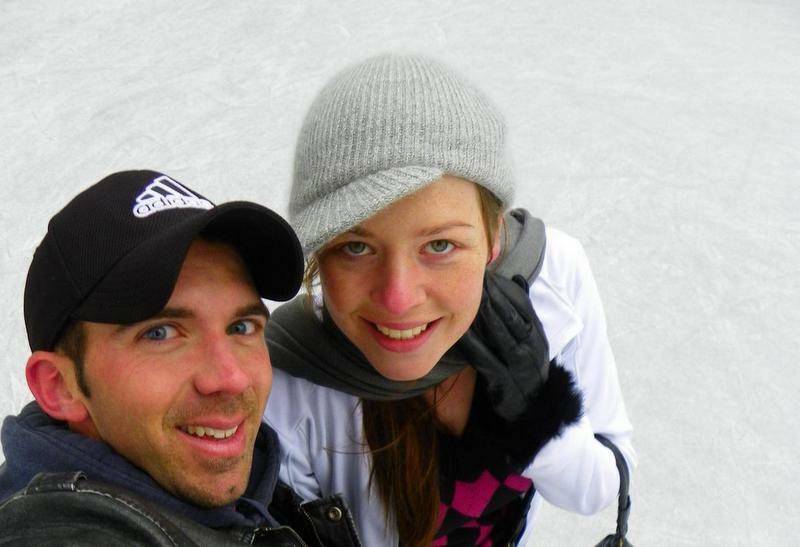 So glad you enjoyed the post Ryan – I would LOVE to do a house-sit in this region! Yes, bicycles are actually a hit in the North in general, it’s a really great way to get around, and totally adds to the atmosphere of the experience! Amazing pictures! Amazing places to visit! Thank you for this glimpse into this wonderful journey an thanks for the tips! Thanks Fernanda! I hope you have the chance to visit the North of France at some stage soon! This is an article on Brittany or La Bretagne. 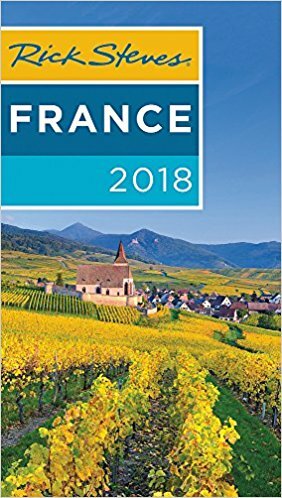 Title Northern France is misleading. When one mentions Northern France it is Lille Roubaix Tourcoing, Thieriarche, etc. Not towns in Brittany. I am not being fastidious I live here. Those pictures are gorgeous! And each place looks like it would make for a great day’s walk around or a charming week’s stay. GLad you enjoyed the post Jeanine! Absolutely – it’s like stepping into a fairytale when wandering through these towns! The pictures are gorgeous. They remind me so much of the Cotswolds in the UK! I looked at the map and took a long time to find these towns. Actually, I only found Roscoff and Dinan and they are in Bretagne, just as TK said. But they are definitely not part of southern France which is what we have visited. We will go to these areas next! France is so beautiful. Very true – France is full of incredible little charming towns, you could probably spend a lifetime exploring here! If you’re a fan of the King Arthur stories / legend, a visit to Paimpont would definitely be for you! We know that the countryside of France is brimming with picturesque villages and towns. Most of them pristine and untouched by tourism and commercial trappings. The fact that very few of the places you have listed are know is vindicative of this fact. 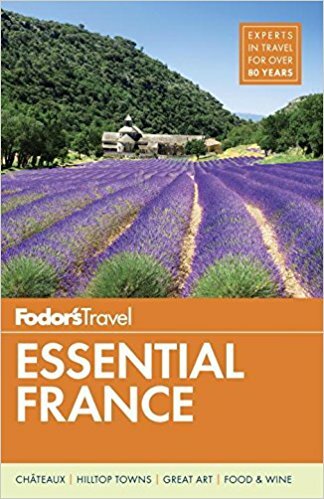 We hope to go beyond Paris and explore these beautiful gems of France. This list is definitely a good place to start as each of these places seem as if they have emerged from the pages of a fairytale. Absolutely – they’re very authentic and well off the usual tourist trail. 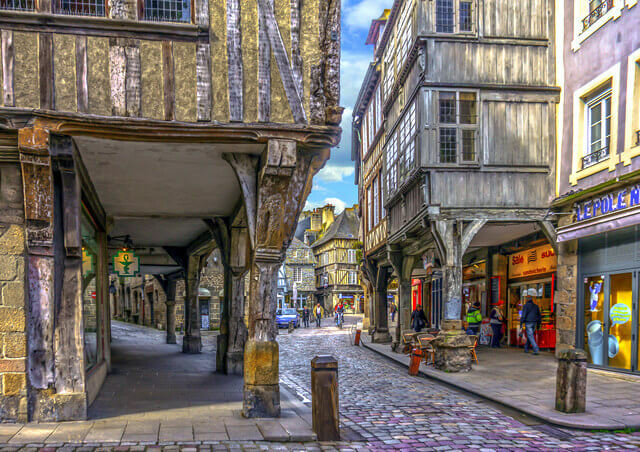 It’s fabulous that a very old world version of France still exists, obviously with modern communities, but a very charming timelessness about the towns themselves. I hope you have the opportunity to spend time visiting this region soon! These all look so cute! I’d skip Paris any day and explore these towns. I loved the south while exploring the canals! I grew up in Paris and yet haven’t ever been in any of these places. And you are so right the North if France is really easy to reach from the UK. And all these villages seem very character and charming. Maybe it’s time for a Road trip? 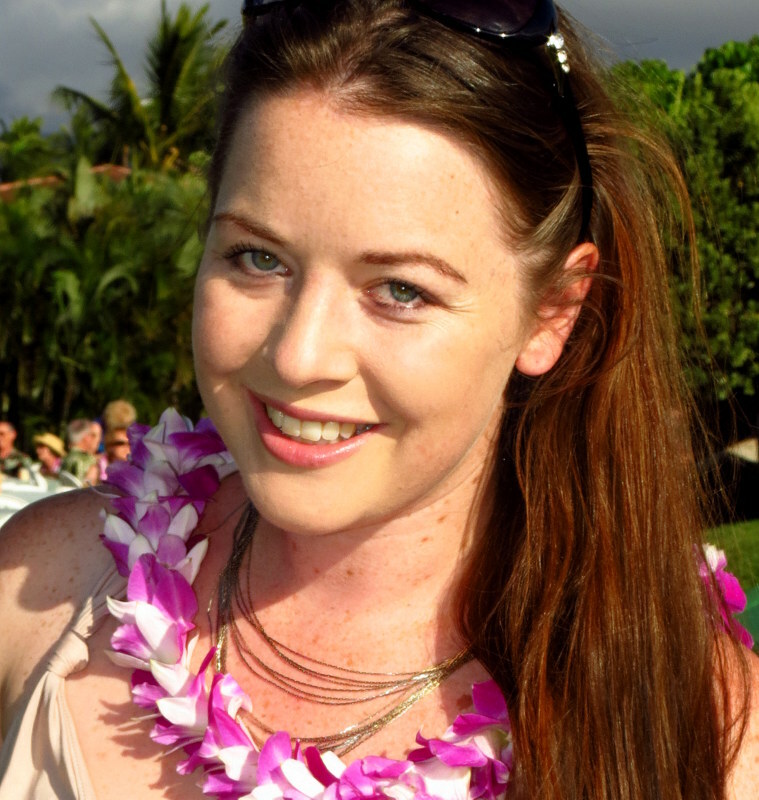 Glad we could give you a couple of ideas for a road trip Katharina; can highly recommend each and every one of these! Oh wow! I think that I only knew about Dinan before reading this post! This reminds me of my long “French Small Towns” Bucket list, I should explore less Paris and more around! THIS is the France I knew as a kid – exactly the kinds of places I want to rediscover one day on some random drives. Merci! Ca, c’est bon. I am searching for a small French town, Nemo. Have you heard of it? Would love to come and walk or bike these wonderfully beautiful places.